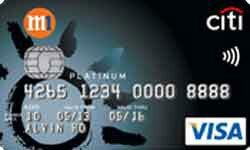 Citi Cash Back Card for min. income of $30,000 p.a. 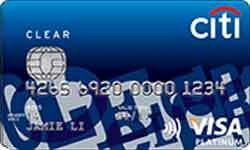 Citibank Rewards Visa / MasterCard Card for min. income of $30,000 p.a. 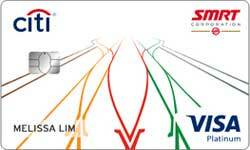 Citibank SMRT Card for min. income of $30,000 p.a. 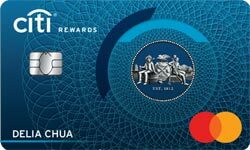 Citibank PremierMiles Card for min. income of $30,000 p.a. 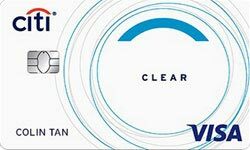 Citibank Clear Platinum Card for min. income of $30,000 p.a. Citi Clear Card for students over 18 years old or min. income of $18,000 p.a. 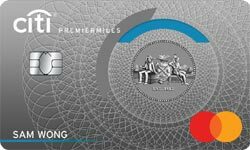 Citibank M1 Card for existing M1 subscribers with min. income of $30,000 p.a. 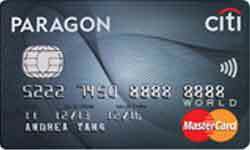 Citibank Paragon WORLD MasterCard for min. income of $40,000 p.a. 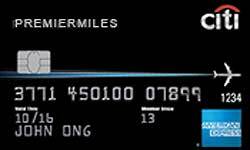 Citibank PremierMiles American Express Card for min. income of $80,000 p.a. 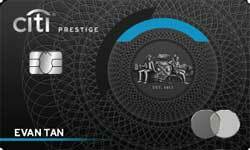 Citi Prestige Card for min. income of $120,000 p.a.